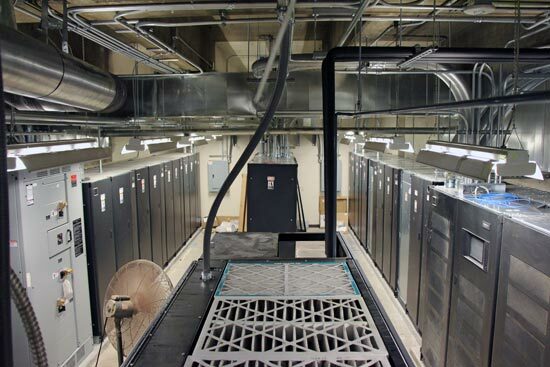 ← Should You Relocate Your Data Center? Data center capacity management is a hot topic among data center managers and staff. Effectively managing data center capacity is a challenging undertaking and one that is constantly evolving which keeps everyone on their toes. Without a capacity management plan that involves the entire data center team, as well as regular auditing of infrastructure, usage and capacity, a data center could quickly run into problems. One of the best ways to help keep data center capacity management under control is to be well informed. How does a data center manager and team go about doing this? Regular data center capacity audits. As soon as you begin audits you will establish a baseline and as you evaluate your audits each month you will begin to see trends, ways to improve and be able to anticipate whether or not you may exceed capacity, and when. Your baseline will include information about how your storage, server, and network infrastructure are used. Within your data center infrastructure management (DCIM) everything is monitored and data is collected to allow for improved operational support and more efficient capacity planning. Capacity management is becoming more and more important as an emphasis is put on lowering data center expenses and improving efficiency. The logical step for many data center managers is to add more to their existing load within a data center rather than expanding or changing locations. But, the more you add the more your infrastructure must be capable of handling, and handling efficiently. When you can assess trends and more accurately predict future capacity needs it allows for better budgeting accuracy. This will help data center managers better manage expenses, investments, changes in infrastructure and more. This approach improves operational transparency and allows data center managers to anticipate future needs rather than react to them as they occur. Of course, another part of capacity management is to establish plans. It is great to use data collected from analyzing usage, manage capacity and plan for future capacity needs but, beyond that, data center managers must formulate various plans for different potential scenarios and inform all data center employees of their roles in said plans. You cannot plan for just one scenario because, unfortunately, in an ever-evolving world, scenarios can change very quickly. It is simply best practice to plan for multiple contingencies and involve the entire team so that when it is time to execute plans it can be done efficiently and effectively. This form of anticipation, planning and execution is exactly the kind of capacity management that prevents downtime from occurring and allows a data center to run as it should at all times. This entry was posted in Data Center Design, data center equipment, Data Center Infrastructure Management, data center maintenance, Datacenter Design, DCIM and tagged computer room design, computer room maintenance, Data Center, data center equipment, data center maintenance. Bookmark the permalink.